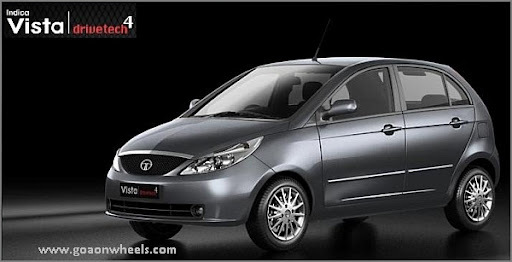 Tata Motors has launched an all-new Indica Vista range, the Indica Vista Drivetech4, with a host of new features and a thrilling driving experience, to take the encouraging market response to the company’s new generation car to a new high. The BS-4 compliant Indica Vista Drivetech4 has a specially designed Eurotech gearbox perfectly mated to the Vista Drivetech4 Quadrajet diesel and Safire petrol engines. It ensures higher torque at low RPMs, minimal vibration, precise gear shifting, longer engine life and cooled exhaust gas recirculation for lower emissions. All these together result in superior handling, exciting zip and a never-before driving experience. The same degree of refinement and driveability is also being offered on BS-3 engines. Height-adjustable driver’s seat enabling customised driving positions. Flexible 60:40 flip and fold rear seat for added space for multiple needs. Fully integrated 2-DIN stereo system with Blue 5 and USB port enhance entertainment and communication convenience. Dual airbags (driver and passenger) and ABS (Anti-lock Braking System) make it one of the safest cars on Indian roads. Riding a non Goan registered bike in Goa? ?